I was one of those children who preferred reading to playing ‘red rover’ in the playground at lunch time. I used to overhear my gran and my aunts witter on to my mum that I always had my nose stuck in a book when I should be ‘out playing’. But I think my mum was over the moon that I was interested in reading about things outside of my own little bubble. So I was delighted to come across this new study via the ALA newsletter about the positive impact of reading fiction. Conducted over a three year period by researchers in Toronto it reveals that by reading lots of fiction, children and young adults can improve their social skills; making them much more aware of the world around them; helping them to deal effectively with life’s challenges and participate confidently and effectively in social situations. 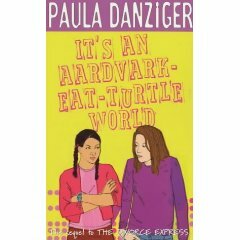 I’ve always felt that books like the adventures of the Famous Five and It’s an Aardvark Eat Turtle World set me up for life…so, three cheers for fiction; I don’t think we celebrate it enough!